happiness and peace? Read and see. Barnie is and has been an accomplished artist for more than sixty years but has found the joy of writing included in his talents late in life. He has done paintings for covers of books for other authors and have illustrated several books but did not know he could write until in his late sixties. He enjoys writing and hopes to write in years to come. The story of The Adventures of Willy Waterdrop is the story of water and its cycles from oozing out of a rock face on the side of a mountain to its journey down the creeks, lakes and rivers to the sea. The setting takes place in a southern state and follows from the mountains through the midlands and low country as the story unfolds. 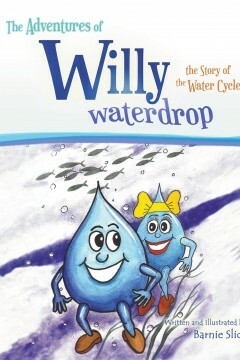 Willy meets another female water drop names Wanda and they become instant best friends. 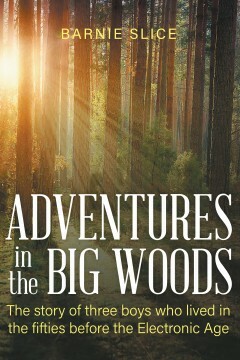 Their journey together down the creeks, lakes and rivers to the sea and beyond is filled with many exciting incidents. The colorful descriptions and illustrations carry one along on their journey with much mystery and excitement around every bend of the river. They encounter many new creatures and finally man as they make their journey to the sea. What happens to them as they pass through a large city points out the truths of what is happening in many waterways across the country. The story is not only interesting but informative and tells about the delicate balances of nature and clean water in the world around us. May all who read these adventures learn about the world of water and have a new respect for the water ways of all of our states, country and world. books. Barnie enjoys illustrating his own books and takes great pleasure in writing new adventures with his characters. His cartoon work has been in several magazines and newspapers in his southern state. There are many books in his head and, God willing, he plans to get them all in print. Barnie resides with his wife by the sea near Myrtle Beach, South Carolina. This book is the story of three boys who lived in the late fifties and how they lived without electronic gadgets of any kind. They came from low income families. Television had just hit the market in black and white form and that was all they had. They built their own toys and made up their own games because money was scarce but they never felt they were poor. Their playground was The Big Woods as they called it along the banks of the Broad River where they found many adventures in the summer of ’53. Barnie Slice was born in Columbia, South Carolina in 1940 and grew up in the state. His true talent is art and he has become very successful in that endeavor over the years. He discovered that he could write in his late sixties and found the thrill of writing stories about things that he had experienced or knew something about. 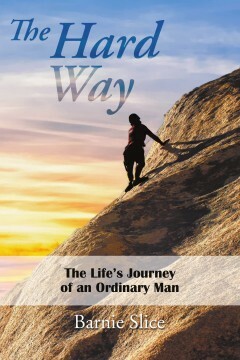 He published a child’s book several years ago and has written a story about his childhood since which he is going to publish. He looks forward to writing new stories in the near future.